This product comes for a sophisticated vitamin marketing company based in Scottsdale, Arizona that has a large number of products and puts out a great catalogue. The product is better than average. 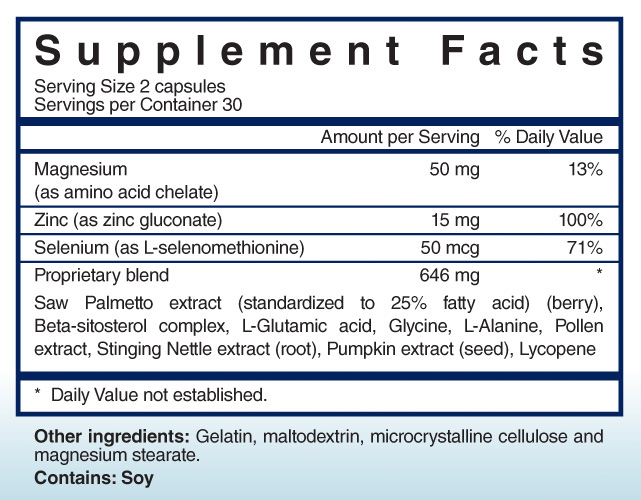 It has a Beta-sitosterol score of 72 mg and overall sterol score of 139 mg. Both of these numbers are solid and can definitely help your prostate. They certainly did better than many of the other companies that are know for sending tons of direct mail promotions. I like the fact that formula also contains Zinc, Selenium and Magnesium, all three of which are smart choices and definitely help your prostate. They should get rid of the saw palmetto and Lycopene and put in more Beta-sitosterol and this solid product would become even better.